Paul is the Founder and CEO of Green Man Gaming, an award winning, data-driven, e-commerce technology company in the video games industry. Dynamic, determined, and with an already distinguished entrepreneurial career, Paul is a passionate advocate of the truly immersive, engaging power of video games as an unrivalled form of entertainment, and he strives to challenge and revolutionise the consumer offer in a digital games retail space. Prior to Green Man Gaming, Paul founded Prizefight, a hybrid of a video games and betting. Paul’s first venture as an entrepreneur in 2002 built customised algorithmic trading engines for the cash equity markets. Before life as an entrepreneur Paul was a management consultant, a banker and an Officer in HM Forces. A qualified Chartered Accountant, Callum first broke into the world of gaming in 2003 when he moved from Morgan Stanley Capital International to become a senior member of the finance team at SCi Entertainment Plc, a games publisher which expanded by acquiring the UK’s largest game publisher Eidos Plc two years later and worked with such IP as Tomb Raider, Hitman, Just Cause, and Deus Ex franchises. After nearly 6 years with SCi, Callum then moved to his first tech start-up, Miniweb, where, as Finance Director for the Cloud-based, Connected TV format, he successfully raised funding for the business and took it through to exit. 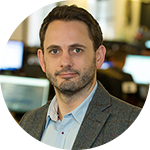 He then joined Green Man Gaming in January 2012 where he has been responsible for navigating the business through early stage investment to much larger rounds and multi-million pound credit facilities, based on its fast growth performance. Today, Callum is Chief Financial Officer and is also responsible for playing a crucial role in the commercial direction and strategy of the Company. Back in the days of 28k modems, Tim left the Royal Navy after serving as a Chief Engineer for 12 years. In 1998 he joined a small team at Littlewoods tasked with delivering the first Littlewoods website. Leading on moving a traditional ‘home shopping’ retailer online, Tim helped deliver sales over £5m. 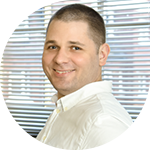 Over the following 9 years, Tim worked in design, user experience, project and program delivery, operations and management. After a couple of years working in Saudi Arabia launching the first range of websites designed to deliver products to customer’s homes, he moved back to the UK and joined Green Man Gaming. He is responsible for overseeing Payments, Fraud, Customer Service, User Experience and Content delivery. A key influencer and shaper of UK's games retail for over 15 years, Martin’s reputation within the games industry is unrivalled. With senior roles including Buying Director at Gamestation, and Pre-Played &anp; Range Manager at HMV, Martin joined Green Man Gaming in 2012 and has been responsible for driving massive growth in export sales for digital games outside the UK, with non-UK markets representing around 87% of the total customer base. Ian is a video game industry veteran with senior leadership experience at top game publishing brands including EA and Activision. Having led International Marketing teams for some of the World’s best-selling game franchises including FIFA, Call of Duty, Battlefield and The Sims, he has built a reputation in the industry for growing significant market share and driving innovative marketing campaigns. 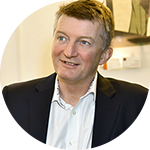 Before joining Green Man Gaming, Ian worked with several Technology and eCommerce early stage start ups helping to drive fast growth and revenue, repositioned the Curry's PC World brand as part of the Dixons Carphone merger, and had a successful career at Publicis London, where he led a number of high profile and International accounts across the technology and entertainment sectors. A former IT teacher at Bialystok University of Technology specialising in Managing Data and Scalability, Parallel Programming and Operating Systems, Kris Bandurski joined Green Man Gaming in 2012. Leading a team of 20 engineers, Kris is currently working on Green Man Gaming’s major platform migration; the single biggest project that the company is undertaking in its history, that will impact every facet of the business by allowing a deeper customer insight and business intelligence. Kris’s expertise will ensure the new platform is designed to handle the very spiky nature of traffic typical to the gaming retail environment, whilst scalability, maintainability, and resilience remain key technical objectives pursued using an array of technologies, to build a world-class, market-leading social commerce platform. 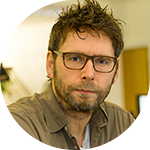 Paul has 15 years’ experience of working at the forefront of digital marketing strategy and innovation within digital retail and online gambling industries for brands such as QVC and Sporting Index. He is an ROI-driven and customer-focused leader, and passionately believes in keeping the customer at the heart of everything he does. Before taking up his role at Green Man Gaming, Paul was the Marketing Director and Head of Sporting Index, one of the world’s leading online sports gambling sites, where he completely overhauled the company’s marketing strategy, rebranded the business and successfully launched their mobile site. 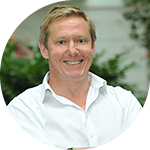 He also spent almost nine years at QVC building up their digital marketing programme from scratch and was instrumental in driving some record breaking results for the company. His early career saw him build up his knowledge and skills in digital marketing by working agency-side for clients such as Canon, Time Out and Piaggio.